The national government, through its capital, Beijing, has determined its major objectives for the current healthcare reforms and that is to provide equitable, affordable, yet high-quality patient care. With the economic upsurge experienced by the city today, attaining this objective will hardly be a problem. 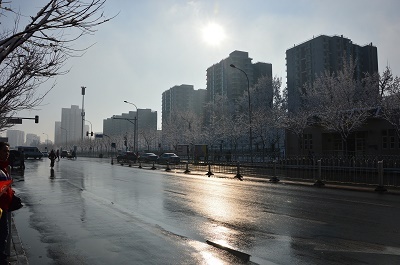 Relocating to Beijing is indeed an exciting and overwhelming experience since it is considered as one of China’s top-tier cities. As more and more expatriates from all over the world go to this Oriental capital, the need for quality health care also continues to grow. The government of China formally introduced a national health insurance plan on October 15, 2011, that aimed at providing coverage for all foreign employees but to this day, public healthcare is still considered inefficient in terms of meeting the needs of the growing international community. Having adequate health insurance is must for all expatriates moving to Beijing. As mentioned earlier, despite the presence of the national public healthcare scheme, many locals bound to this city are still strongly advised to ask their employers if they are covered by any medical plan or to take out some type of international health insurance. Also, having private insurance will allow you to go to private hospitals where the quality of equipment and treatments are almost on par with Western Standards. Many locals in Beijing also opt to go to these private medical facilities because of the short waiting list and presence of English speaking doctors. It is not a secret that locals in Beijing would prefer to see a Traditional Chinese Medicine doctor, who skilfully practices acupuncture, acupressure and herbal medicines to treat their patients instead of hospital doctors. But many have embraced modern science and the development of hospitals in the city. In Beijing, as is also normal in some other parts of Asia, anyone can visit the physician's clinic as a walk-in patient whenever they feel the need to without having a pre-set scheduled appointment. The average doctor's consultation fee for the unscheduled meeting is about 200-300 RMB. In Beijing, there are various types of hospitals, with those being privately run by foreign institutions or organisations typically the most expensive yet reliable ones. These hospitals are equipped with the latest medical facilities and highly competent international medical staff. One thing people appreciate about private institutions is convenience in terms of the time it takes for a patient to be actually seen by a doctor. Quick and accessible emergency care is another strong asset of Beijing's healthcare system. Wherever the emergency occurs in China, people can call 120 to receive emergency medical assistance. Usually, an ambulance arrives in the site of emergency about 30 - 60 minutes from the time the call. Hospitals, whether private or public, are also obliged by law to accept all emergency cases regardless of whether or not the patient or relatives of the patient have paid a deposit. One issue expatriates face when making emergency calls is the language barrier. There is a tendency for an ambulance driver to set out to supposedly respond to an emergency call, except that he does not know exactly where to go or what address to find. It is, thus, recommended that somebody who speaks fluent Chinese be made to make the call to the emergency service to ensure that instructions are noted down and followed by the operator to the letter.